Evidence continues to mount that human activities are altering the Earth’s climate on a global scale. Numerical models of the processes affecting the Earth’s climate system both at regional and global scales are important tools in understanding these changes. There remains a significant challenge to understand the processes affecting the climate system, including processes affecting the response of the atmosphere, as well as the oceans, land surfaces, vegetation, and the cryosphere. Rapid changes that have occurred in the earth’s climate system in recent decades have brought a new sense of urgency to climate research. 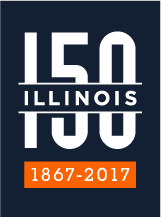 The University of Illinois is deeply involved in research to understand the changes occurring in Earth’s climate, and resulting impacts on humanity and ecosystems across our planet, both within the department and through interdisciplinary research interactions across the campus. Faculty and students in the department carry out a number of research projects directed toward the development and use of numerical models of the Earth’s climate system and the use of observational assets to enhance understanding of climate change. Our studies also extend to understanding the resulting impacts of climate change on human and natural systems such as water resources, agriculture, human health, energy, transportation, forests, and ecosystems. Students work with professors to conduct research to help explain the interactions between climate and the role of solar radiation, clouds, aerosols, the biosphere, oceans, and human activities in altering our climate. Numerical climate models are used in many of these studies. Students use global climate models to understand how Earth’s climate is changing and to improve projections of future changes under various plausible assumptions about future activities and forcings, as well as to simulate important geophysical processes such as the behavior of the Atlantic thermohaline circulation, the El Nino-Southern Oscillation, and extreme events, in response to the changing climate. Students use regional as well as global models to understand the connections between climate change and small-scale processes like tornadoes and severe thunderstorms, and cloud-scale models to understand climate change effects on precipitation. Students also conduct research on how energy, water, and carbon are transported between the land surface and the atmosphere in systems ranging from agroecosystems to rainforests. Quantifying and understanding climate change and its causes is one of the greatest challenges of our time. Students will lead the way as climate change research progresses. Are you ready?